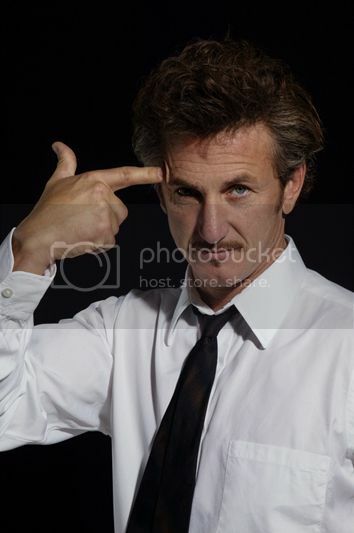 The World Needs A Stronger Blog...: Sean Penn Is Down With Ringworm And So Is Dennis Kucinich? Sean Penn Is Down With Ringworm And So Is Dennis Kucinich? Sean Penn bailed on a fund-raising event for congressman, anti-war activist and ex-2008 presidential candidate Dennis Kucinich, but so did Dennis Kucinich. Instead Penn, Kucinich, and the congressman's posse jumped in a few limo's and hightailed it over to the Beachland Ballroom to see... Ringworm?! The show they joined in progress was a benefit for John Carroll University radio station (WJCU 88.7 FM). Kucinich and Penn said they saw a mention of the show in a local paper and thought they'd check it out. Penn and Kucinich then jumped on stage saying they came out to "support WJCU and college radio" and the drunken Cleveland crowd roared. The representative for the 10th District of Ohio in the House of Representatives, Chairman of the Domestic Policy Subcommittee of the House Committee on Oversight and Government Reform and member of the Education and Labor Committee then introduced the mighty Ringworm who immediately launched into "The Sickness", the opening track from their Birth Is Pain LP from 2001. Kucinich was the Mayor of Cleveland from 1977 to 1979; a tumultuous term in which he survived a recall election and was successful in a battle against selling the municipal electric utility before being defeated for reelection by George Voinovich, who was across town at the One Life Crew show. Really, what higher achievement is there for a metal band than an official endorsement from Spicoli?